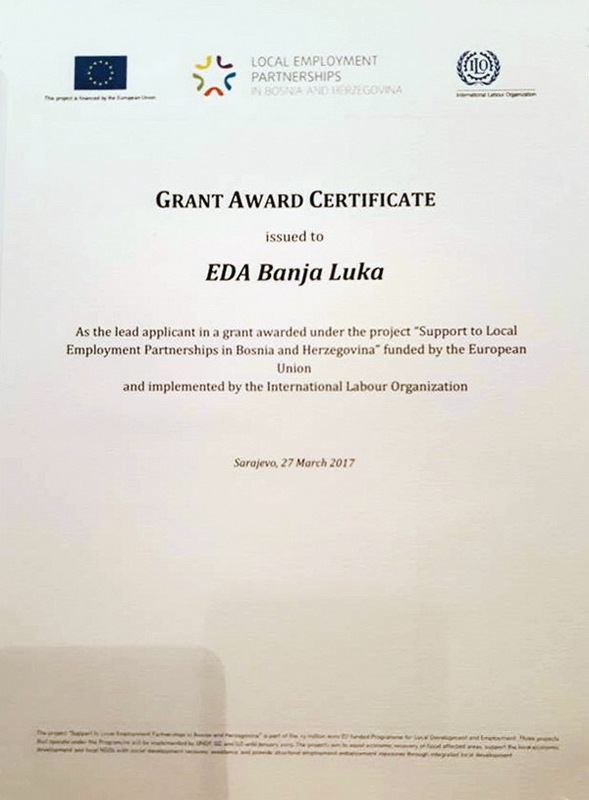 At the ceremony that took place in the premises of the EU Delegation in BiH today, Eda was awarded grant certificate for the project “Support to Local Employment Partnerships in BiH”. The ceremony was attended by HE Ambassador Lars Gunnar Wigemark, Head of EU Delegation to BiH; HE Mirko Sarovic, Minister of Foreign Trade and Economic Relations; HE Adil Osmanovic, Minister of Civil Affairs, and Mr. Antonio Graziosi, Director of the ILO Office for Southeast Europe. 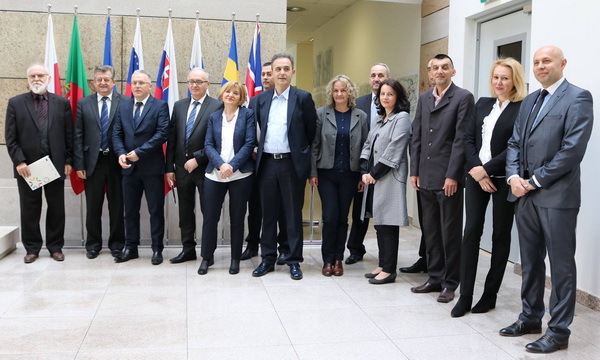 Within the project “Partnership for quality jobs and competitiveness” Eda will work with relevant partners from public and private sector in the Municipality of Prnjavor. Specific objective of the project is: established functional partnership for employment of the Municipality of Prnjavor as capacity for permanent implementation of active measures for employment. “Support to Local Employment Partnerships in BiH“ project is part of the EU-funded Programme for Local Development and Employment.